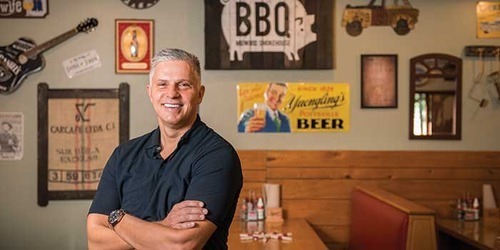 Frank Scibelli just comes right out and says it: If you want good barbecue in Charlotte, you don’t have a lot of options. But Charlotte is growing, you say. There are more cooks cooking more food, and more varieties of it, than ever before. “Still not good barbecue,” he says. Maybe it’s got to do with the smoker. You have to have a smoker, he says. Not many barbecue places in Charlotte have one. He does. He mentions it over and over again. He asks if I’ve seen inside it, where at least one piece of hickory is burning 24 hours a day. He makes sure I know the only thing that powers his smoker is wood. Before entering the business, Schafer toured the Carolinas and visited dozens of eateries to ensure his menu would be as genuine as possible. Key to the barbecued items are large on-site smokers.